argodesign - work - AR Hockey. What we learned about computing experiences that augment, enhance and enchant physical space. A while back, we published a concept exploring the notion of projecting computer information into our workspaces -- a setup that would allow us to interact with virtual content without necessarily having a computer in front of us. 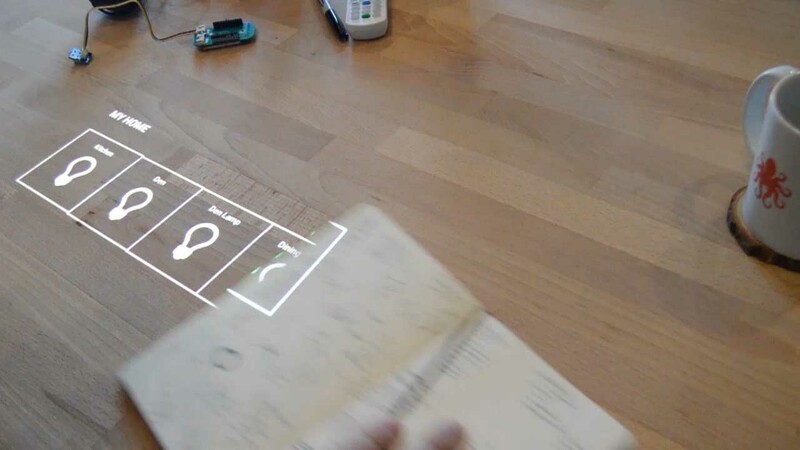 In this concept, ordinary objects could be employed as controls for our ambient computing interface. Published by Fast Company, the project was well received and shared across the web. So we decided to put some of those theories to test as a working prototype. 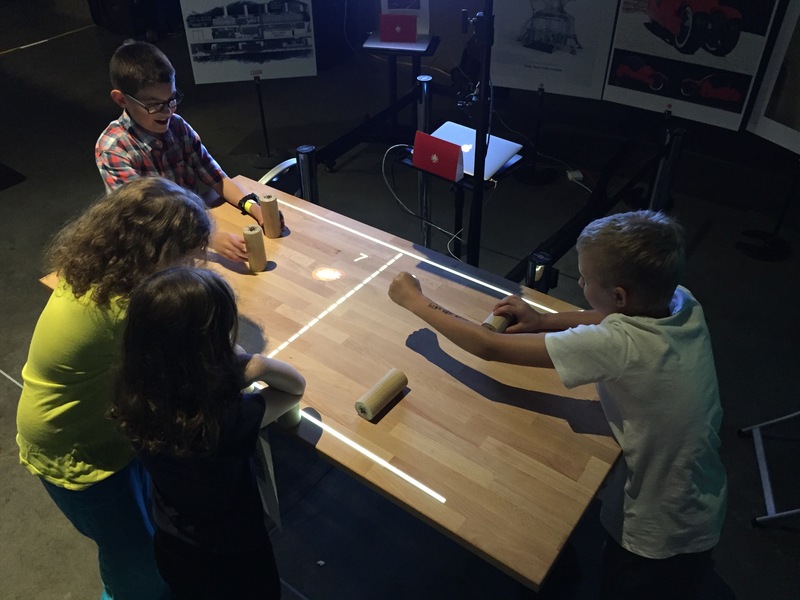 Our first exploration with Interactive Light is a version of the vintage air hockey table game. 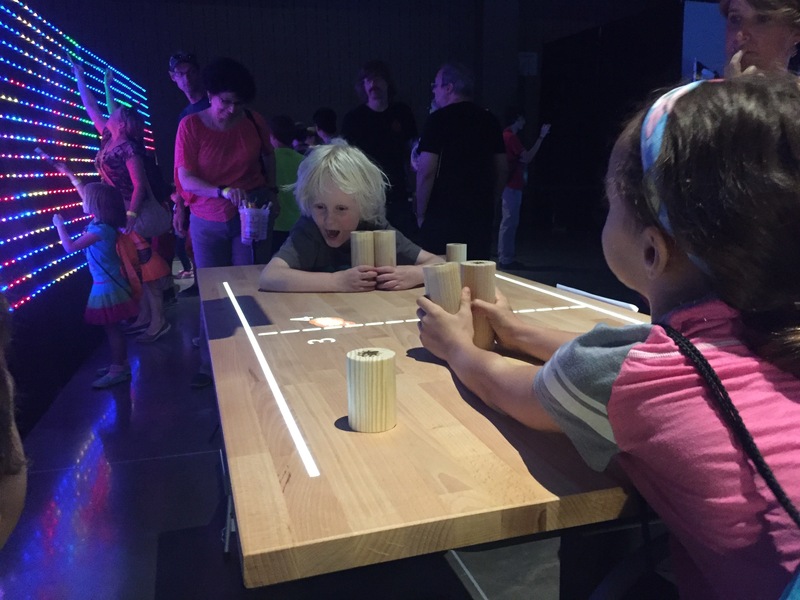 The original game is well known and easy to play, with interactions perfect for testing out the projection we had in mind. 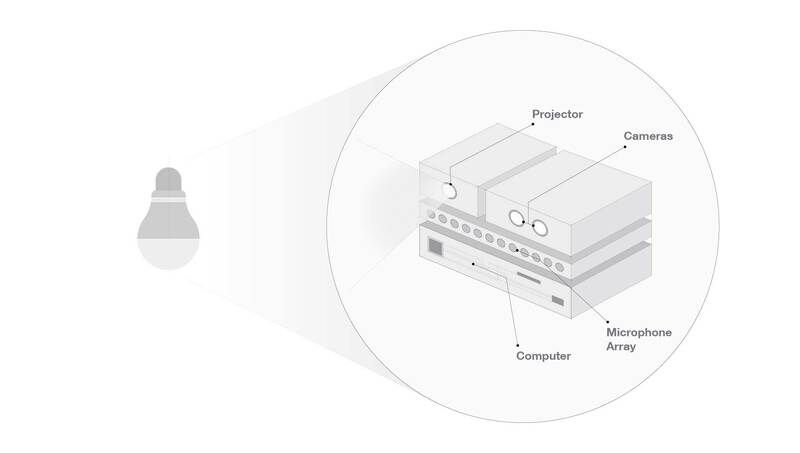 Our prototype rig includes a projector, computer vision, and a computer hidden out of sight. Most of this equipment doesn’t have to be seen to be enjoyed; all you see is the light projected into the space. You play the game with any ordinary object -- and the interaction is delightful. 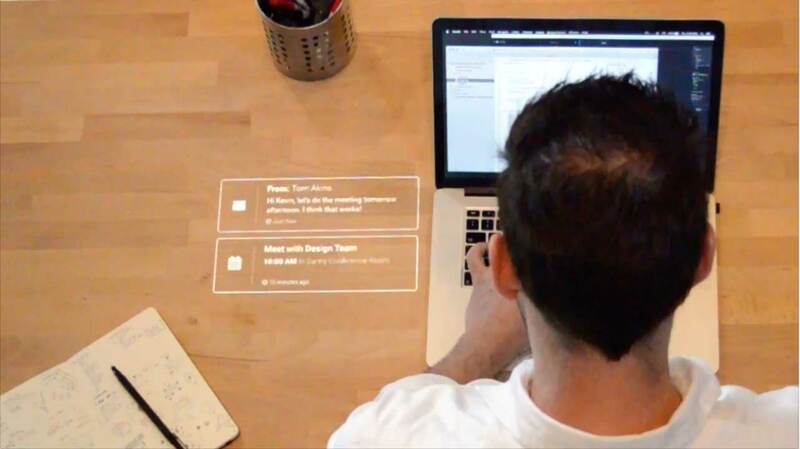 We imagine this idea being put to use in the real world with contextual information projected onto normal surfaces like desks, walls, kitchen counters, anywhere. Even the bar where you’re enjoying a drink. We are excited for what this new model represents. It is a more accessible version of augmented reality than the concepts that require we all wear special headgear. 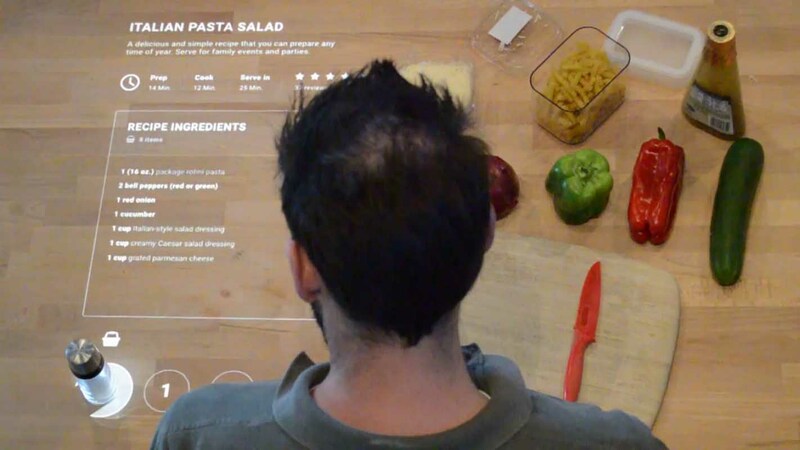 It also brings valuable new qualities to the experience: a tight integration with our existing material reality, a more intimate form of collaborative computing, and a practical way to animate the physical world -- bringing digital information, intelligence, and interactivity to everyday objects and spaces. You can read more of our thinking on this in Mark Rolston’s essay published last year. 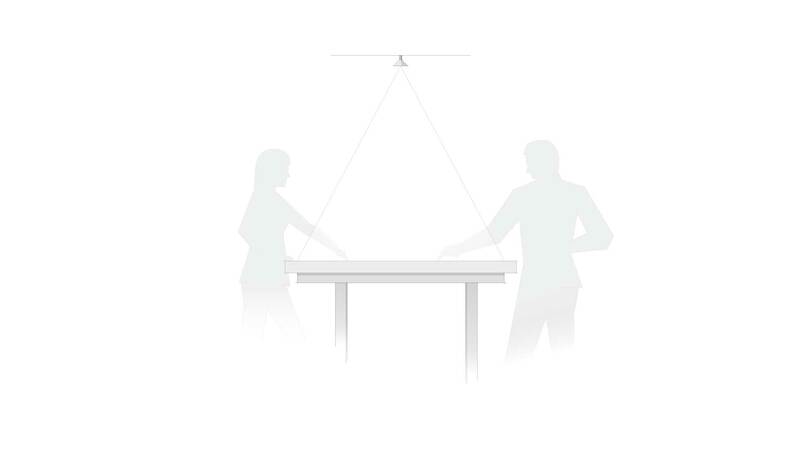 Meeting reminders and office notifications materialize in your work space. Recipes and technique instructions appear on the kitchen prep surface. Access a home automation console as ambient light in your living area. 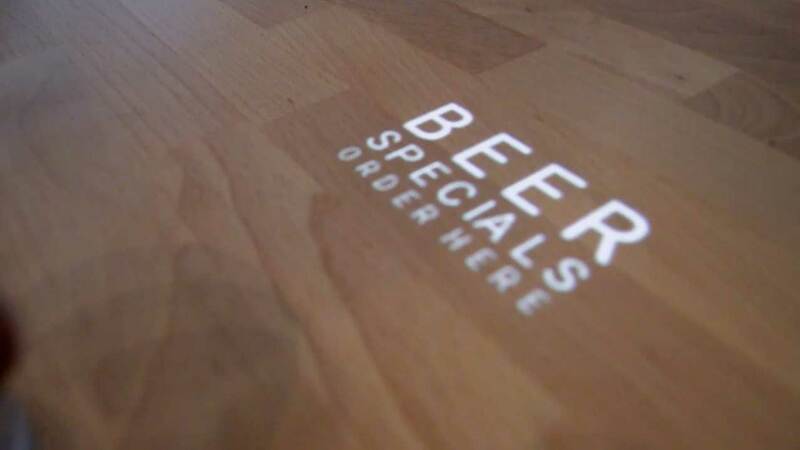 Order a cold beer from a virtual menu projected onto the bar. After making our first Interactive Light concept in the studio, we put it through field testing to further validate our findings. 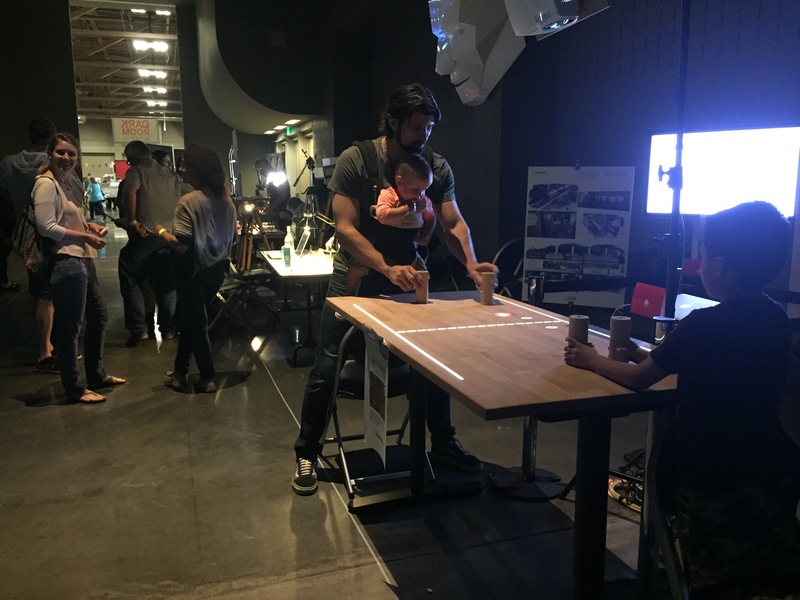 In May 2016, we showed our concept at the Austin Maker Faire, where for two days, people played games and explored the boundaries of the experience.